If you are finding the Fmaj7 tricky, try substituting it with an F. It sounds pretty good and it’s a lot easier. I miss him sooooooooooooooooooooooo much????? I wonder what people think of replacing the D7 that follows Am and Am7 in “Take your protein pills and put your helmet on” with Am6, fingered 2020 (aka F#dim). It’s essentially a D7 without a D string, but I like the sound of it progressing from Am to Am7 to Am6. David Bowie (born David Robert Jones on 8th January 1947 in Brixton, London, UK) was an English rock singer, songwriter, musician, and actor. 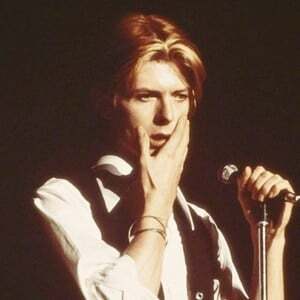 Active during six decades of popular music and frequently reinventing his music and image, Bowie is widely regarded as an innovator, particularly for his work in the 1970s. Shortly after releasing his 25th studio album Blackstar, it was announced Bowie died on 10 January 2016, following an eighteen-month battle with cancer.